Better Living Through Chemistry – This passive ability will boost the innate talent of a Goblin in Alchemy by 15. 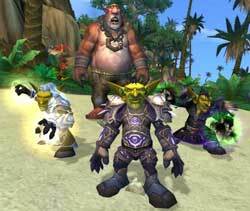 Pack Hobgoblin – This instant ability will allow a Goblin to call their own personal servant who will provide bank and auction house access for 1 minute in the field. Rocket Barrage – This instant ability uses the Rocket Belt to fire Rockets at enemies that cause 30 fire damage each. Rocket Jump – This instant ability will allow the Goblin to jump forward with their Rocket Belt, moving in large chunks across the screen. 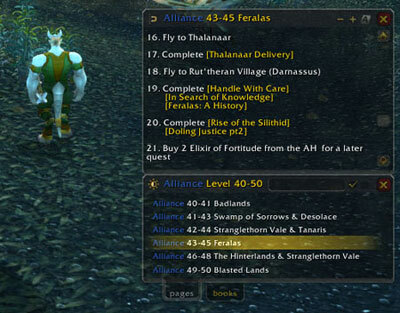 This will prove highly useful in PvP roles, especially for tanks. Time is Money – His final, passive trait will add a 1% increase to casting speed and attack speed. The Goblins, while not getting the same attention and demand as the new Worgen race are going to prove to be equally as interesting to watch as they develop leading up to the launch of Cataclysm. When the expansion goes live, the starting area will incorporate the same phasing instance style of leveling that made the Death Knight starting area in Wrath of the Lich King so popular. With tons of new abilities, a vibrant starting area to explore, and tons of lore to uncover about a previously neutral race, there will be high demand to jump in and explore the Goblins and their band of suddenly very active combat troops.